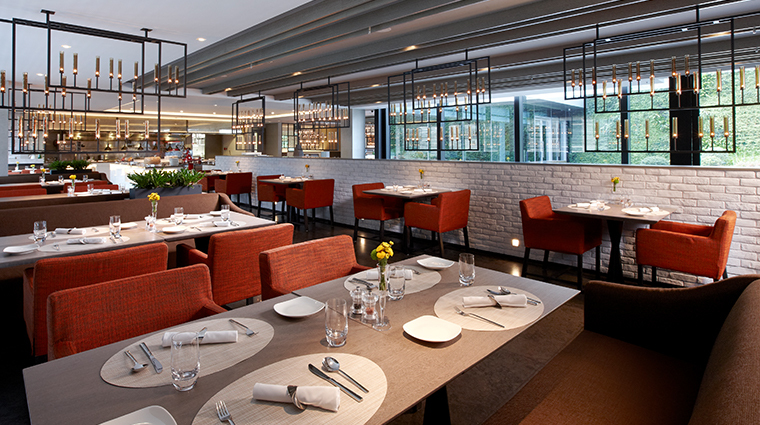 Located in Xinyi, Taipei’s bustling business and shopping district, Humble House Taipei unites soothing minimalist decor, an elegant collection of modern art and a premier location. 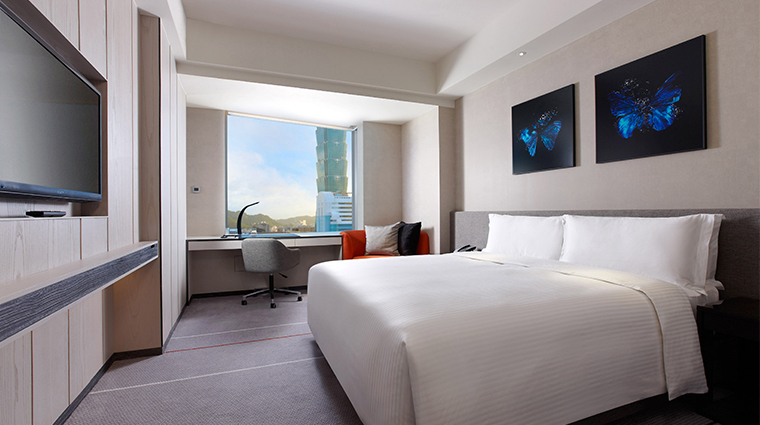 Not only is the hotel directly accessible to Breeze Center, it’s also within walking distance of Taipei City Hall Station, international department store Shin Kong Mitsukoshi, Taipei World Trade Center, the iconic super-tall skyscraper Taipei 101 and a plethora of nightclubs and boutiques, making it an ideal destination for both business and leisure travelers. 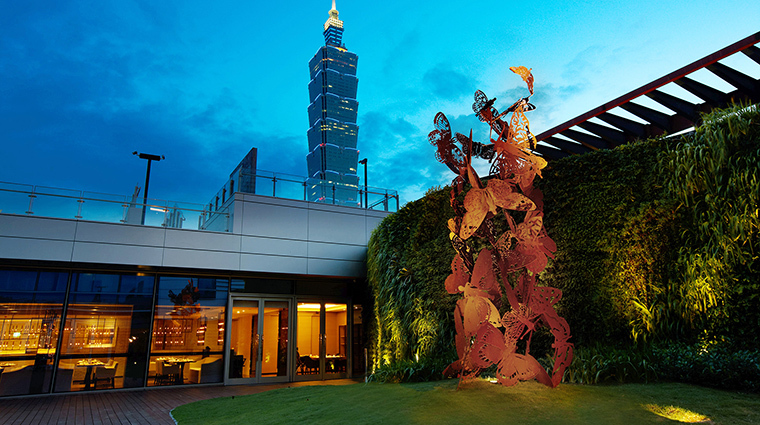 Its environmentally friendly practices, design-forward aesthetic, warm Taiwanese hospitality and amenities like the alfresco rooftop lounge and pool have helped this place stand out from other luxury hotels in the area. With almost 600 pieces of art distributed throughout the property, art lovers will find much to admire at Humble House Taipei. Upon entering the Taipei hotel, you’ll be greeted by new media pieces by Chinese contemporary artist Yang Yongliang, depicting the seemingly conflicting elements of nature and cityscape in harmony by combining video, photography and painting. Head to the luxury hotel’s lush sixth-floor garden for a unique, tranquil inner-city experience (order a cocktail at the adjacent Terrace lounge while you’re at it). On the seventh floor, you’ll find an outdoor swimming pool with stellar skyline views, a large wooden deck and some inviting lounge chairs. 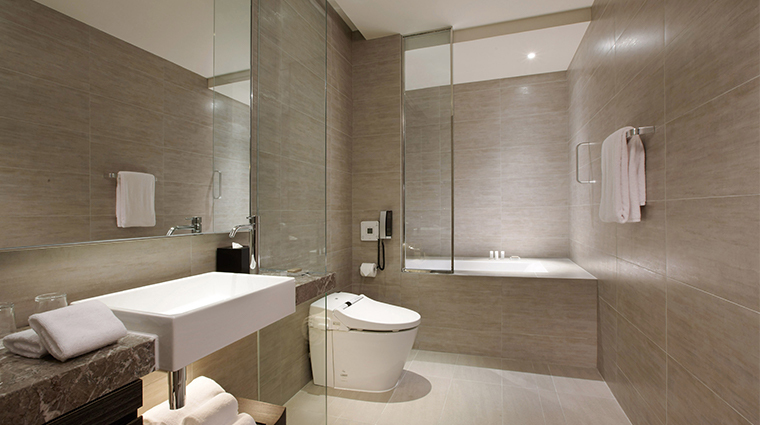 A lovely spa offers Japanese-style hospitality and treatments by Aromatherapy Associates. You’ll notice the art as soon as you enter the lobby, where electroluminescent lights from Paul Cocksedge’s Bourrasque dangle from the ceiling. 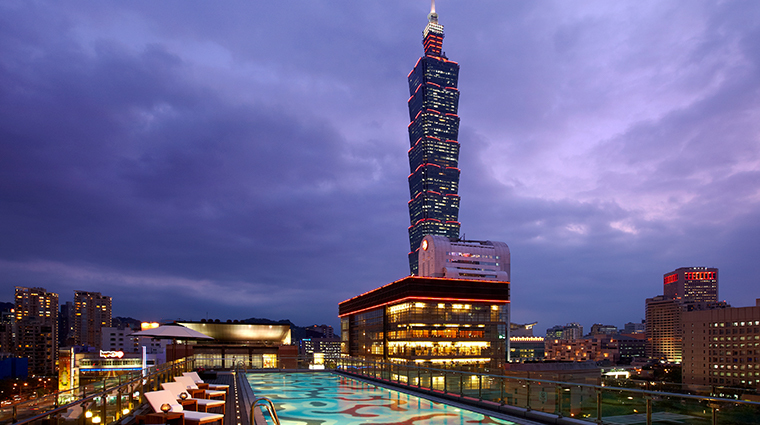 Book early to get the most popular views facing Taipei 101, the most famous structure in the city — those rooms sell out three months in advance on New Year’s Eve for prime fireworks viewing. 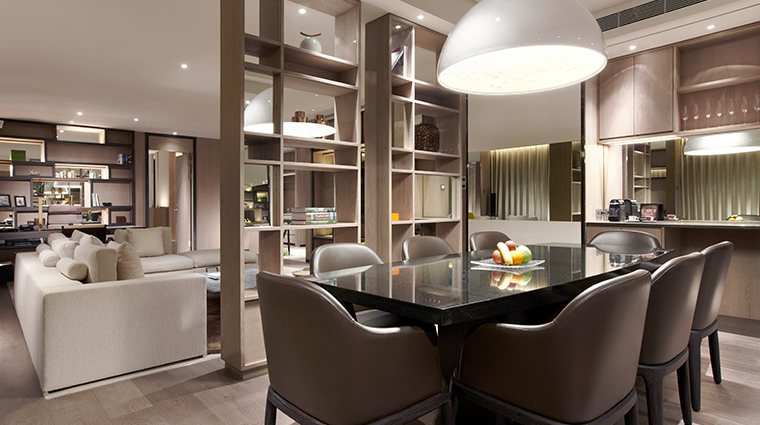 Don’t expect over-the-top décor here — rooms are plush but minimal, with gray neutral tones and dark woods. Humble House’s 235 guest rooms and suites are furnished with luxe Brintons carpets, spacious baths and cozy custom sofa seats. Guest rooms have features to simplify your stay such as complimentary Wi-Fi, Sony Bravia TVs, Sony Blu-ray DVD players, Toto electronic toilets, well-stocked minibars, silk velvet bathrobes and Nespresso coffee machines. Desks face the windows, equipped with electronic window shades and sheers, and an external air convection system can allow in fresh air from outside. 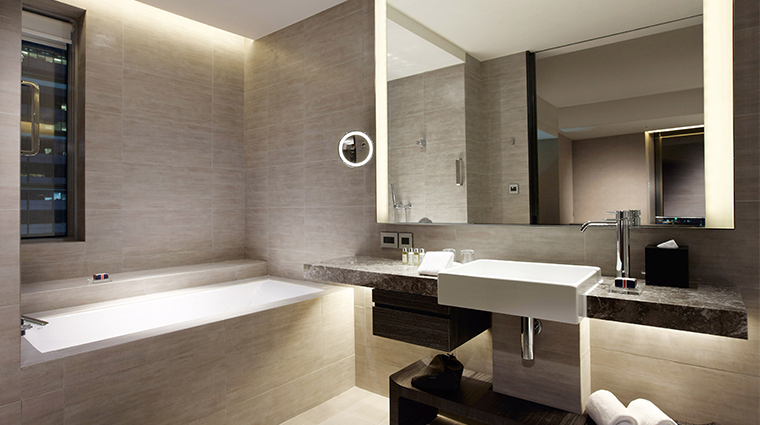 Heyland & Whittle amenities are included with Grand Premier rooms and above. 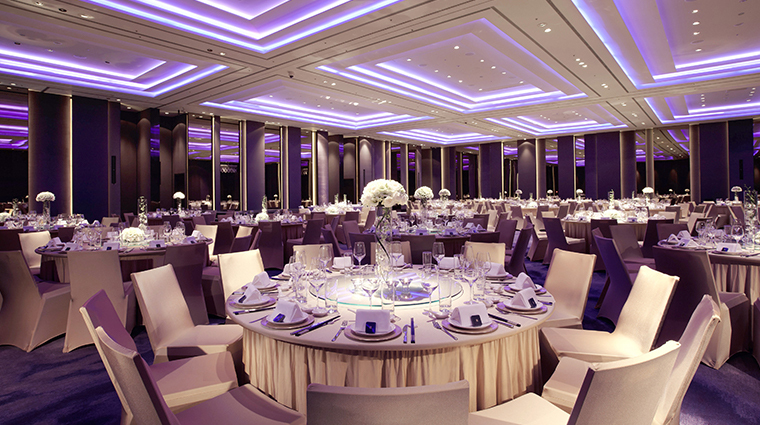 La Farfalla is a modern Italian restaurant that serves a semi-buffet breakfast, lunch, afternoon tea and dinner. 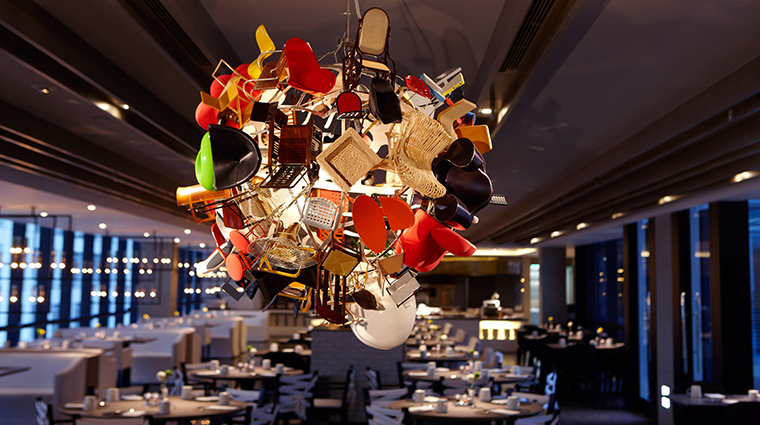 The dinner menu highlights quality ingredients and includes dishes like braised beef cheek with ratatouille in a spiced tomato sauce, and confit de canard with pistachio and peach wild berry sauce. 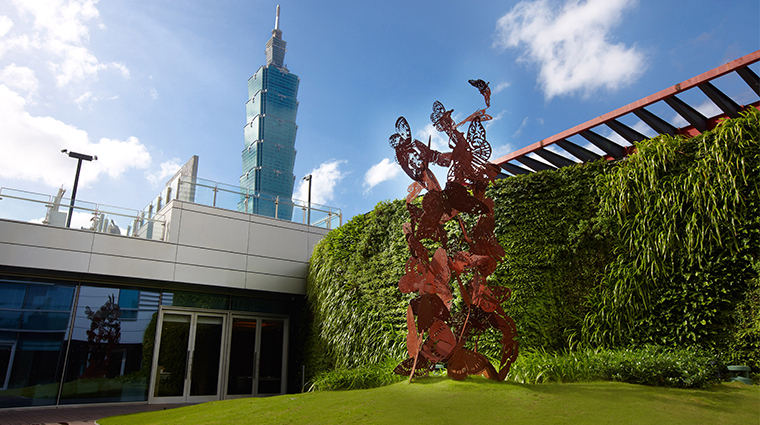 For a more casual dining experience, The Terrace offers comfortable seating that looks out over an outdoor garden and has views of Taipei 101. The restaurant is most popular for its afternoon tea sets, but also serves dishes like a bacon and Hokkaido scallop roll with cauliflower purée or grilled Iberico pork with cheese mashed potato and onion applesauce.